dinner party: what's for dinner, maggie hoffman? 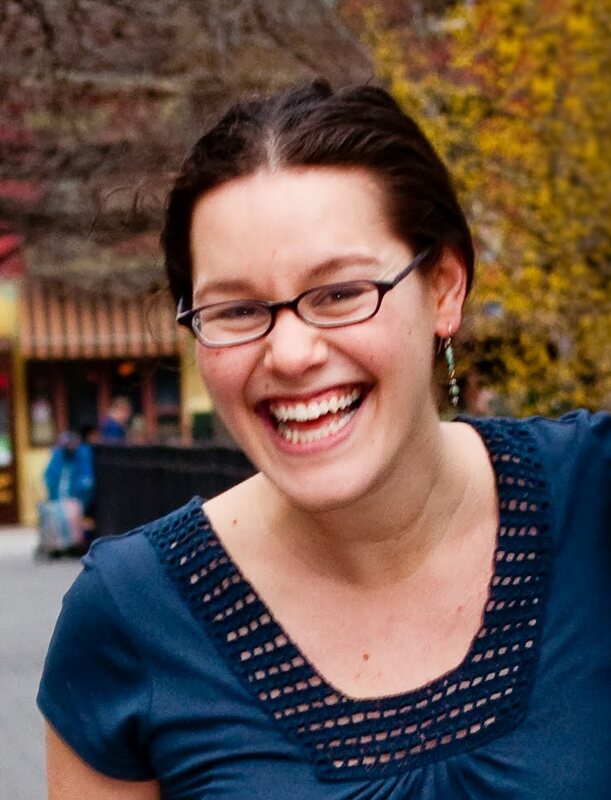 Today's Q&A is with Maggie Hoffman of the delightful food blog Pithy and Cleaver, which she co-writes with Shiv Harris. Like all of my favorite blogs, P&C is lavishly photographed and always seems to feature recipes I want to rush off and try immediately. Even if I am at my desk at work. It's a constantly reliable source for menu inspiration. In addition to the blog, Maggie also writes about craft beer, wine, and (mostly) vegetarian food for Serious Eats and is a book designer by day. Here, she shares her favorite chili recipe, love of fruity desserts, and why progressive dinners are her preferred way to entertain. Thanks, Maggie! Maggie Hoffman. Book designer by day, beer/wine/food writer by night. I live in Manhattan in a teeny apartment with my husband, Matt. These days, I tend to entertain a few times a week. (No way we can taste all that beer ourselves!) Recently, Robin and Jim from Caviar and Codfish came over, along with my editors from Serious Eats and another friend. We sat outside on our balcony, tasting beers for an upcoming article and eating crab and avocado salad, homemade chipotle black bean salsa, and a chorizo-and-chickpea dish inspired by the new Stonewall Kitchen Appetizers book. My favorite dinner parties are low-maintenance. I love progressive dinners sitting out by the grill, where each course gets grilled and eaten while the next one cooks. I'm addicted to grilled garlic scapes and can't wait till they're in season, and we have a fantastic butcher near us that makes kielbasa, and I love to grill eggplant and lamb kabobs, too. Can't they all just get along? I am a huge fan of craft beer AND a huge fan of good wine. We got married at a vineyard, but the day before all our friends met up at a brewery. Chili is easy, cheap, and satisfying. My mom's recipe is fantastic. I love to make fruit cobblers, too. The key to entertaining is to make things which scale well--no individual portions, no fussing. I'm a bit territorial in the kitchen. I love when friends bring appetizers and bread, though. And my husband tends to handle the grill, which makes for many relaxing summer nights. Pretty much made from scratch. Pumpkin pie. Peach and blackberry cobbler. Whatever baking experiment I've tried for the blog. Oh, I wish I could have my parents and my brother, sister-in-law, and little niece over to our place for dinner. My folks live in Oregon, my brother's family is in St. Louis, and I live in New York, so we don't get to just have dinner together very often. Great piece! I LOVE P&C, and many of the recipes there have made me pretty popular at Thanksgivings and pot-lucks alike. Maggie is my food hero...and wine & beer hero...and regular hero! Yay, Maggie! I love the progressive dinner on the grill for a party. So perfect. Thanks for reading, Maggie fans! Married at a vineyard, pre-wedding meet-up at a brewery. If the honeymoon involved a distillery tour, you've got the hat trick!